ChesneyLand will feature different areas each highlighting a different aspect of Kenny's life and career, including an area based on his own home in the US Virgin Islands where you can tour a replica of his own 60 ft yacht. ChesneyLand has a simple dress code, which permits the removal of shoes and shirts with no problem, however people who are balding are required to wear either a cowboy hat or a truckers cap at all times while at the park. Major attractions at the park include the Zellweger Marriage roller-coaster and the Ambiguous Sexuality Carousel. 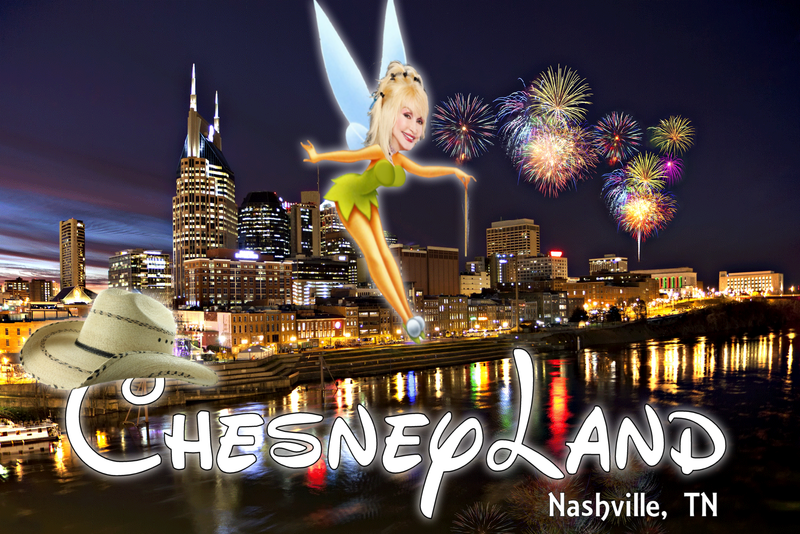 Chesney's music is piped through hidden speakers at every corner and ChesneyLand 'cast members' will dress up as country music characters and mingle with the crowds. Everything gets hotter when the sun goes down, as rum and margaritas start flowing and people start "rolling up" to the tiki bars to see a nightly performance by a variety of country music artists followed by the soon to be famous ChesneyLand fireworks. ChesneyLand officially opens to the public in May 2015, but fan club members and the press are already getting advance tours. Let us know if you have already visited ChesneyLand and share your opinion in the comments section below.